Great question! 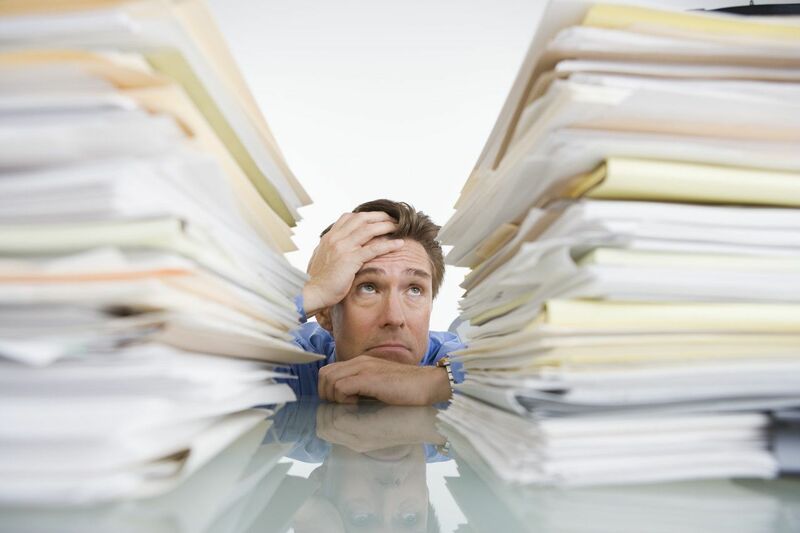 Whether you work as a personal injury paralegal or in an entirely different realm of law, there are papers – lots of ’em! We bet you occasionally get to review overwhelming stacks of papyrus in your corner of the legal universe, too. Why do we love these tips? Because they readily translate into any type of organizational projects involving important documents, medical or otherwise. Here are a few ideas on how to slay those paper dragons! In cases involving serious injuries, it is not unusual for a client to have multiple medical providers. You will have obtained medical records from each provider to get a full understanding of the extent of the client’s injuries and treatment plan. In the event there are pre-existing injuries, you may need to request those records, as well. What do you do with these stacks of records? Before you scan and save these records on your computer, you need to organize and prepare medical summaries as each document is received. Separate the records received from each provider. You may use index dividers especially if you are creating a medical records notebook. (This is a matter of preference; if you do not feel this is necessary you may skip this step). Put the records in chronological order with the most recent on top. Prepare a table of contents for the medical records index. Scan and save a complete copy of the organized medical records on your computer. Use software to Bates number the medical records. The Bates Stamp can be as simple as “Plaintiff-001” or however you wish to designate the description. In medical malpractice cases, one of the most effective organizational tools you will find is in the creation of a timeline of the sequence of events in the hospital. The time line can be created in various ways, using charts, graphs, etc. The most important factor is charting the time from the patient’s chart, starting from the beginning, as to time when medicine was administered; time when procedures were done; time when x-rays, MRIs, scan, etc. were done; accounting for each and every second the client was in the hospital, receiving treatment. This way you will have a complete picture of everything that was done or was not done, in the hospital. It is no longer sufficient to present information to the trier of fact without adding illustrations. Today, jurors, mediators and judges are so sophisticated that it is necessary to incorporate a combination of text and graphic depictions into settlement brochures, meetings and trials. Vivid demonstrative aids are useful for maintaining the interest of the trier of facts who have become accustomed to the graphics added to articles or television shows such as the news. Medical summaries are enhanced with tables and charts, which re amount the most cost-effective exhibits. Selection of colors for exhibits can have a profound impact on readability and persuasiveness of an exhibit. Black letters on a yellow background are frequently used combinations for headings or for important information on a chart. Charts should also be prepared with adequate white space to avoid crowding of content. Charts which are set up on columns can compare information such as the essential steps in the standard of care with the actions taken by the defendant. Software can be used to create graphs of medical visits, or to demonstrate a pattern of full time employment versus time spent out of work, etc. Tables, prepared by an expert who has analyzed medical records, may present various aspects of pain and suffering. Pie charts, bar graphs and line charts are also visually appealing. Tables may point out inconsistencies in the plaintiff’s version of events, demonstrate that the patient withheld information from treating physicians or was noncompliant with medical treatment. Whatever the nature of the litigation, your goal is to allow you to find a piece of information quickly and make sure it is viewed in the best light possible. Dorothy Secol, CLA has worked in the legal profession for over 35 years and has been a freelance paralegal since 1982. She maintains an office in Allenhurst, New Jersey, doing business as Dorothy Secol, CLA. Dorothy is a graduate of Monmouth University, West Long Branch, New Jersey. Ms. Secol is a member of the National Association of Legal Assistants (NALA) and received her CLA status in 1978. In addition, she is a former trustee of the Central Jersey Paralegal Association and a former Vice-President and trustee of Legal Assistants Association of New Jersey. She is also an associate member of the New Jersey State Bar Association and a former Co-Chair of that Committee. She is also a member of the Real Property and Probate Section and the Foreclosure Committee. Ms. Secol serves on the Paralegal Advisory Boards of Brookdale Community College and Ocean County College and is a mediator for the Ocean Township, Allenhurst and Deal Municipal Courts appointed by the New Jersey Superior Court. Ms. Secol is the author of Starting and Managing Your Own Business: A Freelancing Guide for Paralegals, published by Aspen Publishing Co. and has written articles for the ANew Jersey Law Journal,@ and ANew Jersey Lawyer. @ In addition, Ms. Secol was a petitioner in the case of In re Opinion 24 of the Committee on the Unauthorized Practice of Law, 128 N.J. 114 (1992). The case validated the fact that Athere is no distinguishable difference between an in-house and freelance paralegal working under the direct supervision of an attorney. Ms. Secol has presented seminars on real estate procedure, probate procedure and law office management as well as how to set up a business as a freelance paralegal. For contact information, see www.dorothysecolcla.com. Wanna know what’s really impressive? YOU…if you did all of this to an important set of documents!!! You’d knock your attorney’s socks right off! Be sure to check back with us on Wednesday, TPS readers. At which point, you’ll have made it half way through your absolutely fascinating work week, and we’ll be featuring an interesting article about the U.S. Constitution. We’ll see you soon. Until then, keep it fabulous, and oh so organized, as you make your way down paralegal row! I may be new to this field, but I have always been notorious for making timelines and charts to organize things. When you are OCD & ADHD, you learn this as a coping mechanism. Fortunately, it is a very useful skill to have! I’m fairly green to Plaintiff’s litigation and my attorney and I were just having a discussion about medical records and organization. Thanks so much for posting! Great advice for a young up and coming paralegal to enhance some skill sets. I did it for 17 years. However, so happy that I switched to IP. I’ll never have to review another medical record AGAIN!! Thank you for your comments, Bernice, Ellen, Michelle, and Tara. We’re glad you found the article helpful. Dorothy really did a great job of describing “how to” slay the medical record beast. @ Tara, I’d be lying if I said I didn’t occasionally dream of a day where I never have to request medical records ever again…although I do LOVE my job as a personal injury paralegal!! !